Where in the hell did the sun go?! 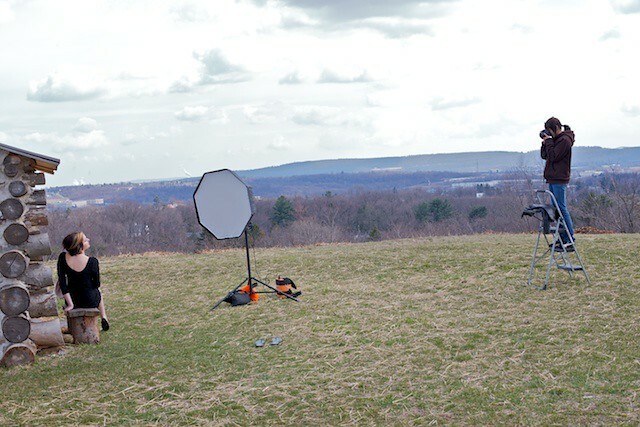 The shoot was moved from up here to Harrisburg, PA, so I needed to find a location to DO the shoot at. 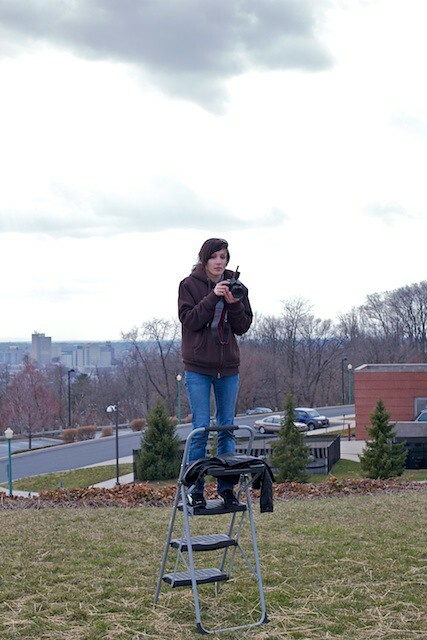 I had Joe Joyce with me, so we got to Harrisburg and scouted a location before picking up Jill. When we got to the location we had chosen, it was warm and sunny and beautiful outside. By the time we returned with Jill, it was overcast, cold, and windy. >_< Jill was SUCH a trouper because she was really willing and stuck it out in the cold. I felt so bad because she had visible goosebumps all over! We did what we could to try and keep her warm... She kept throwing her jeans on under her dress in between looks, we gave her a towel to wrap around her legs in between frames and light adjustments, and even sent her back to the car a few times just to warm up a little. Even through all of that, she did a great job and was a lot of fun to work with. The images are officially in my editing queue, but for now here are a couple quick, shall we say, "Production Snapshots". Haha. There were supposed to be more taken during the shoot, but the wind was so ridiculous that Joe was more concerned about the softbox catching the wind and destroying a strobe, which is totally a legit concern, haha. Jill striking a pose Getting ready for another shot Adjusting the ladder because I'm SHORT! XD One of my many hobbies include walking through fields with ladders. See how scrunched up my shoulders are? It's because I was FREEZING. But I can't complain. Jill was dealing with way more cold than I was, haha. Jill patiently waiting for the next shot. Stay tuned for the finished images from Jill's shoot! :) CLICK HERE and 'like' Emily Rose Photography on Facebook!